As the launch of Western Riverina Arts’ creative ageing project 'For Prosperity's Sake' draws close, artist Louise Cooper has begun focusing on linking the stories of seniors with the visions of youth. Ms Cooper recently visited primary schools in Leeton, Yanco and Wamoon with Western Riverina Arts regional arts development officer Derek Motion to share excerpts from the seniors’ histories and teach students how to make simple animation flipbooks. 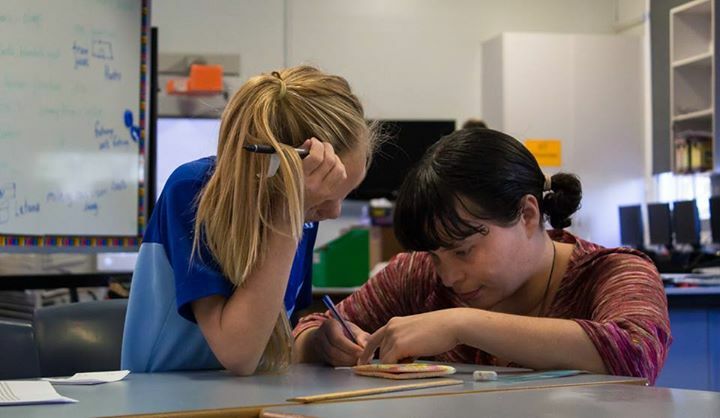 The animation and flipbooks will be available for viewing at the launch of 'For Prosperity's Sake' at 6.30pm on Friday 26 June at the Leeton Multipurpose Centre. These creations based on the stories of local elders will also be available for viewing at the Multipurpose Centre on Saturday June 27 from 11am-1pm, when Ms Cooper will host ‘A Blast From the Past,’ an intergenerational morning of "simple but good" historic pleasures to kick off the school holidays. Come to the on Saturday June 27 for old time games, storytelling, flipbook-making and a morse code demonstration by Brian Aird. Both events are free and open to the public. Western Riverina Arts’ 'For Prosperity's Sake' is funded by the NSW Government’s Creative Ageing Fund.